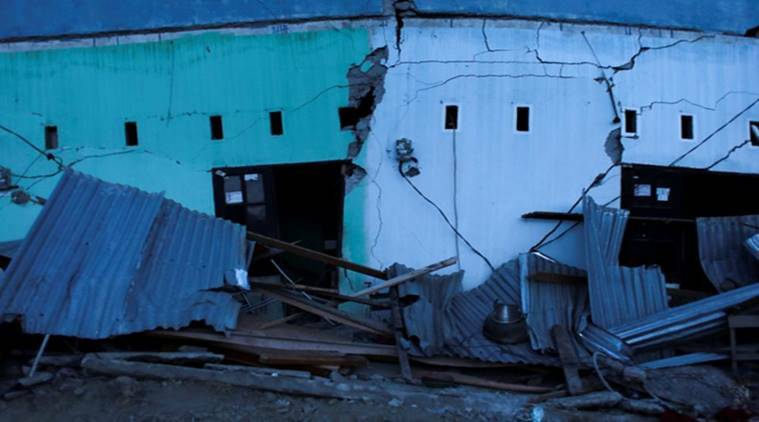 Nearly 430 hectares (1.7 square miles) of land and nearly 3,500 homes succumbed to liquefaction when the September 28 earthquake turned the soft soil to mud, Indonesia's disaster agency said. Jakarta: Indonesia’s disaster agency says helicopters are dropping disinfectant on neighbourhoods in the earthquake and tsunami-stricken city of Palu to reduce disease risks from the thousands of victims believed buried in obliterated communities. The agency said Thursday that 430 hectares (1.7 square miles) of land and nearly 3,500 homes succumbed to liquefaction when the September 28 earthquake turned the soft soil to mud. The Spokesman Sutopo Purwo Nugroho said in a statement the disinfectant is necessary because of the large number of victims not recovered by the search and rescue effort that ended on October 12.